Her limbs are frozen and she is not able to respond much, but given the right treatment the woman may be able to lead a normal life once again! After 63 days of being buried, a Kashmiri woman was found alive after surviving under her collapsed house. Her family and neighbors thought she was going to die so set her aside in a tent for another two days before deciding to feed her! The unexpected rescue came more than two months after the 8 October earthquake destroyed large parts of Indian and Pakistan-administered Kashmir and northern areas in Pakistan. Naqsha Bibi, now under hospital treatment, is suffering from muscle stiffness and is so weak that she can barely talk. She weighs under 35kg – about half the weight of an average woman her size. But since being brought to Muzaffarabad, the capital of Pakistani-administered Kashmir, she has been put on a liquid diet and is showing signs of recovery. Doctors say that on Tuesday morning she gave them a smile. Naqsha is not alone in her survival skills. 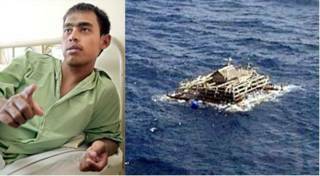 Earlier this year, an Indonesian man, Ari Afrizal, drifted on the Indian Ocean for two weeks after the December tsunami, living on coconuts that he pried open with his teeth while floating on pieces of wood, then a broken boat, and finally a fishing raft.